THE latest bout of bloodshed in the strategic southern city of Ghazni and endemic violence across Afghanistan speak volumes for America’s missteps and the lingering deficiencies in Afghan security forces. The siege of Ghazni city, where hundreds of people were killed in recent days, distressingly points to the lethal tactics being employed by the Taliban and the militant Islamic State group (IS). Since the ferocious fighting erupted on Friday, nearly 500 lives have been lost in the five-day battle, key infrastructure damaged, and critical food and life-saving drug stocks have been almost exhausted. The main provincial hospital, flooded by the injured, was without electricity and water. As Ghazni’s residents looked for the remains of their loved ones in the ashes, Kabul’s Shia-dominated neighbourhood of Dasht-i-Barchi was rocked by a suicide bombing on Wednesday. Nearly 50 people were mown down and many more injured in the devastating attack. The heart-wrenching events, including the fall of a military base in the north, clearly contradict the US narrative of progress in the conflict. Civilian casualties, which hit an all-time high in the first half of this year, remain an emotive issue. Trump’s South Asia strategy has gone awry in Afghanistan. Since 2014, when Nato announced an end to its combat mission, the US has been harping on the capability of the local security personnel to rout terrorists and protect civilians without support from international partners. But Washington’s cocky assertion of stabilising Afghanistan has turned out to be a whacking lie, essentially aimed at concealing its failure. The fallacy of the claim has been laid bare by a wave of high-casualty attacks across the country over the years. While the security switch is still characterised as a key metric of success, in private, the Trump administration has been wringing its hands in despair over its inability to instil a sense of safety among ordinary Afghans, whose suffering knows no end. Ground realities imply Trump’s South Asia strategy has gone awry in Afghanistan, where he has deployed more troops and given military commanders more leeway to vanquish the insurgency. To his dismay, the ramp-up in airstrikes has been ineffective in reining in the insurgents. On the campaign trail, Trump said his basic instinct was to pull out American troops. However, after finding his way to the White House, he fell for escalatory measures that have made America’s longest war even longer. The US-trained Afghan forces’ feet of clay — dealing with the Taliban challenge — have been exposed for the umpteenth time. They were once again caught off-guard last week when the rebels staged a multipronged attack on Ghazni. Despite assistance from US military advisers, the Afghan army, police and intelligence operatives could not make their presence felt. In the drawn-out confrontation, a smaller number of assailants outgunned around 1,500 government forces enjoying American firepower and technology. The grim situation has raised unnerving questions about training and weapons provided by the US, as well as the ability of the local forces to defend their motherland. Foreign fighters, including Chechens and Pakistanis, were reportedly among the Taliban fighting in the city. Videos allegedly showing the bodies of Pakistanis being transported across the border have gone viral on social media. In other words, some might surmise that terrorists continue to use Afghanistan as a staging ground for attacks abroad. Islamabad has long been insisting that it is fully supportive of an inclusive Afghan-led reconciliation process, though these assurances have not yet resonated with Kabul officialdom. 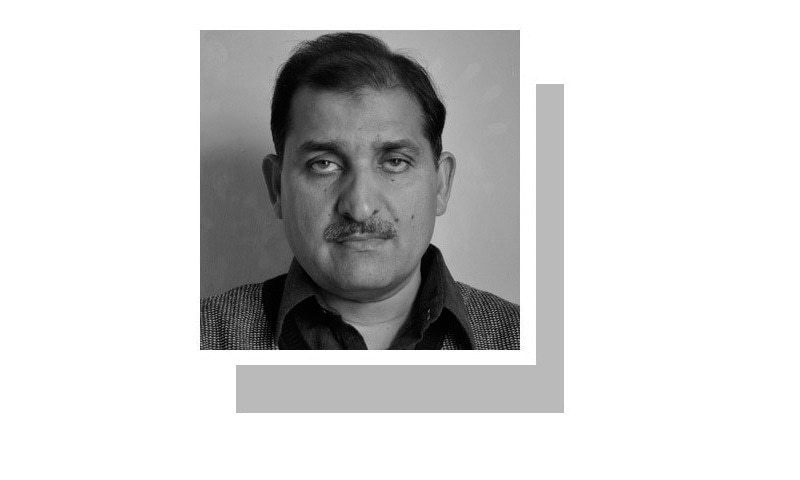 The Afghan government believes that sustained pressure from Islama­bad would force Taliban leaders, many of them still claimed to be living in Quetta, Pesha­war and other Pakistani cities, to come to the negotiating table. Now that a new framework for bilateral engagement has become functional, Islamabad should revisit its policy of good and bad Taliban. It should extend a helping hand to Kabul to rid the region of terrorism and extremism. Given his charisma and courage of conviction, Prime Minister Imran Khan is expected to help the Ashraf Ghani administration find a negotiated end to the war raging across the Durand Line over the past 17 years. As the conflict has witnessed no strategic breakthrough, fresh Taliban-US talks and courageous overtures from President Ghani represent the best hope for a political solution. Global backing for the initiative is gradually growing — and so are militant attacks. If all goes well, the warring parties — building on the Eidul Fitr truce — may observe a second ceasefire in the days ahead. They are acutely aware of the fact that Afghanistan’s stability will eventually stem from political negotiations, not from success on the battlefield. Give us a break. They Afghans won't fight for their own country. When the Taliban take over Pakistan will have another 2 million Afghan refugees seeking political asylum. The only solution is the complete withdrawal of NATO and US troops. Let the Afghans sort it out themselves. The Taliban (proxy shadow warriors killing and maiming innocents) wouldn't last a day in frontal, conventional battle. So they hit-run-hide-terrorize. Cowardly lot. US need to reconsider its strategy as it has been a complete failure. Policies not covering common people of the land and to suit someone else interest are most surely going to back fire. It is the law of Nature and no one can ever dare to challenge it. The fight in Afghanistan is between the puppet regime and its foreign benefactors and freedom fighters. The puppet regime will never survive for a day, if USA withdraws its support. So the issue of peace depends on the policies of USA in Afghanistan. Almost two decade of war has proved that USA is in no position to declare a victory, so the best way for USA is to sit down with the Taliban and arrive at a reasonable solution, in which the USA will withdraw its forces from Afghanistan and in return the Taliban will guarantee the safety of all those people who acted as puppets. This should bring peace and stability in the region and the biggest beneficiary will be Afghanistan and its neighbor Pakistan.